Arsenal star Mesut Ozil is once again at the centre of controversy for reportedly inviting Turkey President Recep Tayyip Erdoğan to his wedding. The German midfielder has been engaged to model Amine Gülşe since last year and is now getting ready to tie the knot. This is not the first time Ozil has been embroiled in a controversy surrounding the President of Turkey. The playmaker famously quit the German national team after the FIFA World Cup last year citing racial discrimination following a certain meeting with Erdoğan. The meeting caused massive outrage in the German media and fandom, with the midfielder reportedly being subjected to racial abuse as a result. The Gunners star, who is of Turkish descent, defended his decision to meet the President saying (via The Guardian), "For me, having a picture with President Erdoğan wasn’t about politics or elections, it was about me respecting the highest office of my family’s country." "My job is a football player and not a politician, and our meeting was not an endorsement of any policies. The treatment I have received from the DFB and many others makes me no longer want to wear the German national team shirt. I feel unwanted and think what I have achieved since my international debut in 2009 has been forgotten." This, coupled with alleged discrimination within the German football federation (DFB) ultimately resulted in the midfielder quitting his national team. Germany’s highest-selling newspaper Bild on Sunday reported that Ozil and his fiancee had personally invited the Turkish President to his wedding, once again sending the media into a frenzy. Ozil has now been slammed by well-known politicians in Germany after he and his fiancee were pictured meeting Erdoğan at Istanbul airport last week. 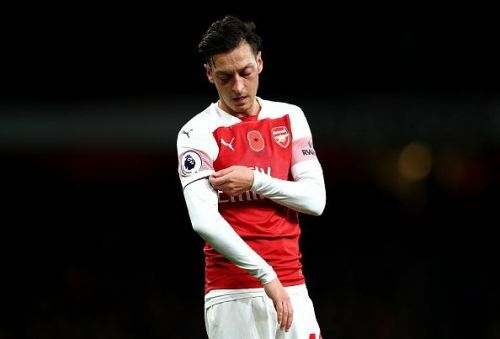 Cem Özdemir of the Green Party in Germany said (via The Telegraph), "Everyone can invite whoever he likes to his wedding, and of course this also applies to Mesut Özil." Whether Ozil really did invite Erdoğan to his wedding remains to be seen as the Arsenal star has been silent over the controversy so far.